The White Sands Pupfish (3-0) took home a 12-5 victory over the Las Cruces Vaqueros (0-3) on Friday at Apodaca Park, fueled by six runs in the eighth inning. The White Sands Pupfish scored in the eighth on an RBI double by Mike Brandi, a sacrifice fly by Ben Lott, an RBI single by Alvin Beltre, an RBI single by Ritchie Sunija, a sacrifice fly by Aaron Olivas, and a hit by pitch. The Las Cruces Vaqueros jumped out to an early lead, but they were unable to hang on. 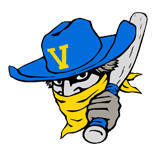 The Las Cruces Vaqueros were up until the eighth inning, but the White Sands Pupfish had other plans for the final outcome, taking the lead back on an RBI single by Beltre. 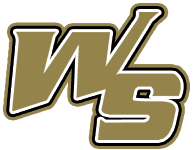 Olivas racked up two RBIs on three hits for the White Sands Pupfish. Joe McCarty pitched lights out for the White Sands Pupfish. McCarty gave up just two hits, allowed no earned runs, walked none and struck out three during his 2 2/3 innings of work. Steven Wisser got the win, running his season record to 1-0. He struck out two, walked one and surrendered two hits. Guadalupe Barrera (0-2) took the loss for the Las Cruces Vaqueros. He lasted just two-thirds of an inning, walked one, struck out none, and allowed two runs.